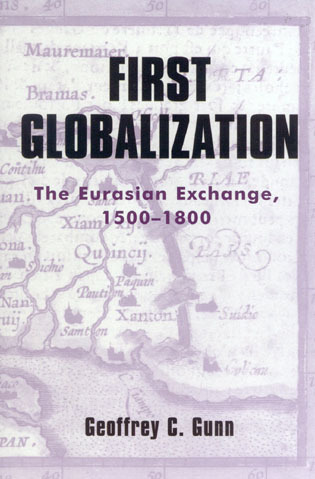 First Globalization: Eurasian Cultural Exchanges and the Origins of the Modern World, 1500-1800, offers an array of sources and examples to present a reappraisal of binary East‑West history. Rather than offering up an economistic reading of world history First Globalization focuses instead on cultural exchanges and symmetries across the Eurasian landmass in the centuries before the rise to dominance of the West. The "Eurasian cultural exchange", in our definition, involves complex crossovers of ideas, languages, philosophies, products and technologies that engaged and transformed Europe and Asia in the sixteenth to eighteenth centuries, the era of the discoveries. Ineluctably, as the examples of modern Indonesia, the Philippines, Malaysia, Macau, East Timor, and many other sites reveal, the first wave of globalization introduced new exchanges of foods, manufactures and technologies, but also hybrid forms, and; especially; creolized cultures. China, India and Japan were not excepted. But just as Europe impacted on new worlds, so did the revelation of Asia change Europe irrevocably. As a thematic or nonlinear history, this work offers an alternative frame of reference to a vast geocultural zone outside the established categories of modern nation‑state and region. Drawing on cultural, linguistic, geographical, and social studies, utilizing an array of world historical texts, we seek to break down the inherent bias and boundaries of both national and imperial history. Rather than taking the asymmetric development of East and West for granted, rather than accepting European exceptionalism as a given, we demonstrate that ultimate European hegemony was in many ways contingent on three centuries of intellectual negotiation and ideological contestation with the East. "By bringing civilization and culture back in, this text offers a rich alternative to standard world history discourse"
"Offers a novel perspective for teaching Asian civilizations"
"Marries and synthesizes little-known accounts drawn from many different culture areas." 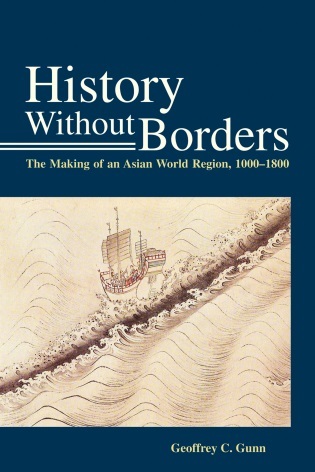 "This volume is a major contribution to the literature on cross-cultural interactions in maritime Asia during the Age of Discovery. It offers a nuanced look at Europe's attempt to make sense out of Asia and to a lesser degree Asia's attempt to make sense of these new arrivals and at the coagulation of a unified Eurasian world. "—Itinerario"
"As an introduction to the cultural exchanges in Eurasia, Gunn's book is highly useful. "—The Journal of Economic History"
First Globalization: The Eurasian Exchange (1500-1800) can be ordered at Rowman and Littlefield, at this page. "...an immensely valuable addition to our understanding of the underlying dynamism and unity that characterised East and Southeast Asian history in the past and the region's politics and economics today"(Greg Bankoff, Asian Studies Review, Australia). Tracing the history of this tiny peninsula perched off the coast of China, Geoffrey Gunn skillfully charts five hundred years of colonial encounter and economic relations with China, Japan, and the Asia region. For 450 years a Portuguese enclave or city-state, Macau—like Hong Kong—will revert to Chinese sovereignty at the end of the century. Macau too stands in the vortex of massive regional economic and social change, serving as a dynamic launch for China’s dramatic, export-oriented growth. Yet little has been written in the West on Macau’s parallel transition to a Special Administrative Region of China or, indeed, on the historical, economic, and political features that distinguish this Portuguese territory from its British counterpart. 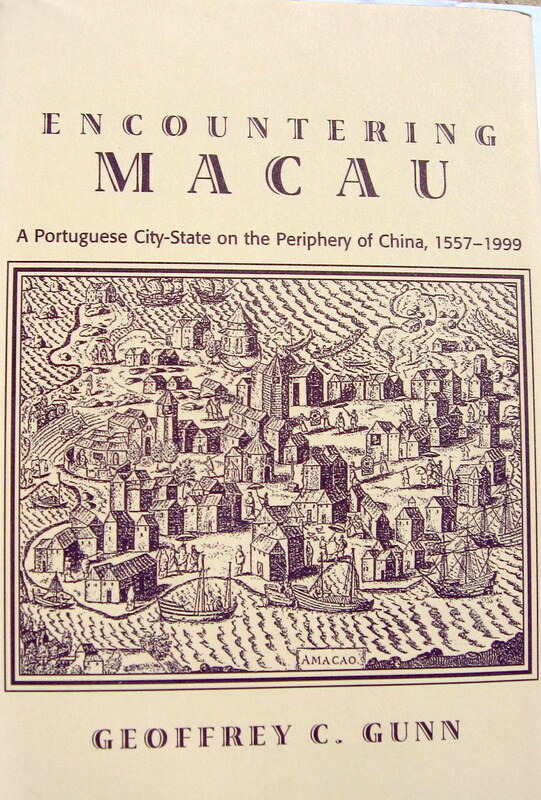 Making liberal use of historical photographs and illustrations, Gunn situates Macau in its Asian context since the sixteenth century, arguing that Macau’s history has been shaped by more than its economic incorporation into a Euro-centric world system—on Chinese terms—or its survival in the twentieth century as an essentially rentier state built around gambling. The author considers the complex and ultimately doomed struggle by the Portuguese to assert sovereignty over Macau, which was reclaimed by China in the historic Sino-Portuguese Declaration of 1987, that foreshadows the end of Western rule in China. Macau’s multi-faceted and fascinating saga draws out wider lessons about the nature of colonialism in Asia and the shape of the East Asian world order in the coming Pacific century. NEW REVISED REPRINT OF ENGLISH EDITION JUST PUBLISHED IN MACAU and available exclusively at Livraria Portuguesa, MACAU. A city linked in most people's minds with the atomic bombing of August 1945—a justifiable reflection on the advent of a nuclear age—in an earlier epoch, Nagasaki's world fame derived from its status as point of origin of a fabulous trade in bullion, especially silver, against Chinese silk. Founded in 1571 as the terminal port of the Portuguese Macau ships, Nagasaki served as Japan's window to the world over long time, even though this trade was conducted under vastly different regimes and circumstances, involving different trade partners and a different mix of commodities. While the final expulsion of the Portuguese in 1646 characteristically defines the "sakoku" (lit. closed country) or seclusion period of Japanese history, the real trade seclusion policy, this work argues, only came into place around one century later when the Shogunate firmly grasped a true understanding of the dimensions of the bullion drain upon the country. As an attempt to write within, pace Immanuel Wallerstein, an articulated theory of global (or, at least, regional) economic change, this study seeks to place Nagasaki and Japan firmly within the ambit of both East-Southeast Asian history and world economy. But, as the Portuguese, Dutch and English learned from their first encounters with Japan, accommodation rather than incorporation became the modus operandi governing commercial interaction with the great East Asian tributary systems of which China stood at the top of the hierarchy. 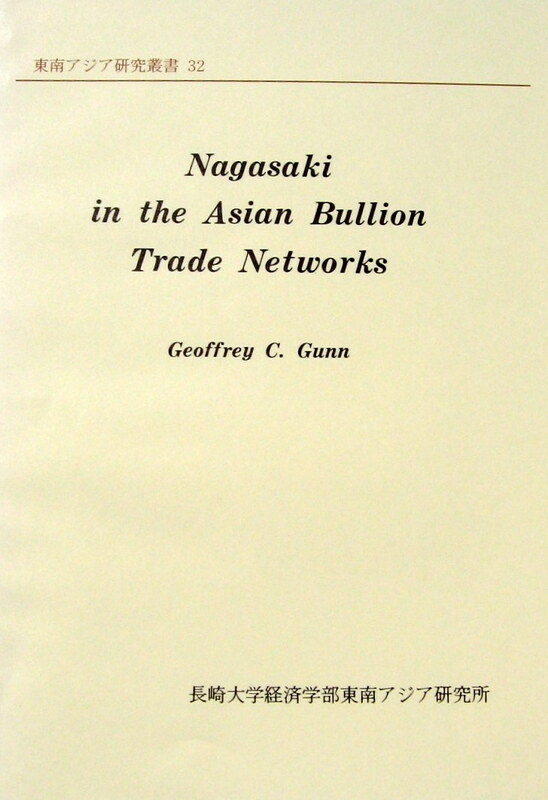 In this script, Nagasaki joins other key Asian tributary trading centers at a crucial moment in world history, that of what Wallerstein describes as incorporation into a world-economy or an inter-societal division of labor in which the European core is politically structured as an interstate system around a system of competing states. By stressing a regional world history approach we acknowledge that the East Asia segment of the global bullion trade was not just of regional interest or concern but had global implications. In fact, Adam Smith in Wealth of Nations (1776) was one of the first to recognize the importance of the Spanish silver trade to the spectacular rise in world trade following the great discoveries and the incorporation of the "new world." Specifically, his "Digression concerning the Variations in the Value of Silver during the Course of the Four Last Centuries" acknowledged the rise of correlated world markets and an international division of labor linked by the silver thread of global bullion trade. This book divides into nine chapters. A first chapter sketches the parameters of the East Asian tribute trade system at the moment of Western contact. Chapter 2 focuses upon the modus operandi of the first merchant and missionaries which made Nagasaki the terminal of the Macau ships. Chapter 3 seeks to investigate the particular institutions and innovations made in Nagasaki to accommodate the Portuguese trade. Chapter 4 turns to the challenge posed to Portuguese trade by the English and Dutch at Hirado but also on Formosa. Chapter 5 focuses upon the major anti-systemic challenge of the age, the Shimabara rebellion of 1637-38. Chapter 6 expands upon Japanese multi-country attempts to tap the source of trade at Manila, Vietnam, and elsewhere. Chapter 7 focuses upon the Chinese trade with Nagasaki and the special role of the Nagasaki-based Chinese in competition with the European traders. Chapter 8 offers a view of Tokugawa Nagasaki through Western eyes. A final chapter, elaborates on the tri-metal bullion trade economy network, while, a conclusion seeks answers to questions posed in the preface as to world-system; continuity or break; and the question as to the impulsion towards commercial capitalism suggested by the bullion trade. Timor Loro Sae: 500 years was originally published in July 1999 in two editions, English, released in Macau, and Portuguese released in Portugal. 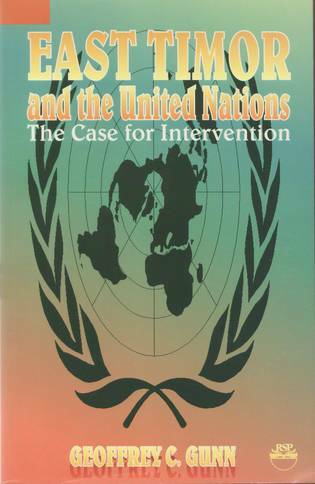 In the strong belief that deadly militia elements and their [Indonesian] military backers would derail the impending United Nations-conducted ballot of August 1999 unless international safeguards were installed, I sought in this book to send a strong message of warning. I also felt that the international community was ill-prepared in terms of knowledge of East Timor’s complex history and culture. While the UN erred by not taking charge of security and the worst-case scenario unfolded, I feel redeemed if some of the arriving international staff who ran East Timor like a colony for the next two and a half years, actually learnt something by reading this book. Now an independent country with new institutions including universities I also trust that this edition in a language generally understood by a younger generation of East Timorese can be useful as they debate and write their own history or histories against their own experience and their nation’s needs. For readers in Indonesia who may now look back upon the Suharto years with a more democratic hindsight, I hope that this book can educate and inform a general public about the history of this half-island nation. 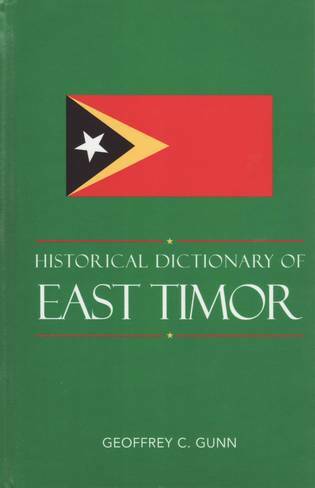 While a number of authors have emphasized discrete periods in East Timor’s history, I have offered a global view, even if sacrificing some of the detail. But I will also feel redeemed if I have successfully conveyed to readers the very real agency of East Timorese in their mostly passive struggle but also heroic struggle against three foreign occupations. As Tan Malaka wrote in the Tokyo edition of Naar de Republiek Indonesia [Towards the Indonesian Republic] (1925), "padi tumbuh tak berisik" (rice grows silently). The much expected - or long overdue - Bahasa Indonesia version of Timor Lorosae 500 years is forthcoming by Sahe Institute, Dili, apparently in partnership with Insist Press, Jogjakarta. The Introduction and Conclusion can be previewed. Untuk membacakan Pendahuluan sama Kesimpulan buku Timor Lorosae 500 tahun, lihat sini. Additional chapters, Bab 5: Dili: Asal-Usulnya and Bab12: Timor Pada Masa Perang, 1942-1945 may also be previewed. In the forceful manner of Nobel laureate Jose Ramos-Horta (FUNU (Red Sea Press, 1987), the present work advocates self-determination for and the urgent need for UN intervention in the former Portuguese colony of East Timor. Since 1975, when neighboring Indonesia invaded and occupied this small Southeast Asian half-island, an amazingly creative and dedicated international community of activists has arisen over this question. Now the Nobel Committee’s award of the 1996 Peace Prize to Mr. Ramos-Horta and his compatriot, Bishop Carlos Ximenes Belo, is drawing world-wide attention to this ongoing tragedy. 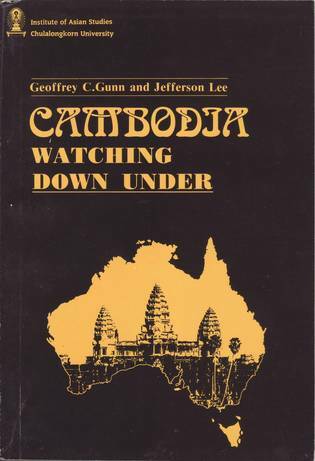 In addition to the author’s own analysis of the situation, this book features a selection of relevant UN documents and other primary sources relating to East Timor, including the key General Assembly and Security Council resolutions of 1975-1982, the damning reports of the UN Special Rapporteurs; the hyper proceduralist utterances of the foreign ministers meetings; and the World Court "no-case" judgment on the Australian deal with Indonesia over East Timor’s oil reserves. This the most comprehensive collection of official documentation on East Timor published to date, bears eloquent testimony to the silent agony of the East Timorese people over two decades. As this work relates, UN experience in East Timor not only contributed to evolving doctrine on peacekeeping but, importantly, also gave new definition to the concept of peace-building especially in the area of state-building. With merit, UN experience in East Timor has been upheld as a model for future peace-building operations, although this work also argues that the UN faced a steep learning curve in East Timor in the area of post-conflict development, capacity building, and the attempt to implement international best practices, raising certain questions as to mission preparedness and modus operandi. INTERVENTIONS positions the "rescue" of East Timor by the Australian-led INTERFET following the UN-conducted ballot of 30 August 1999 within the debate on a new emerging international solidarism in favor of "humanitarian" intervention. But, as argued, conduct of the ballot was also controversial, especially in leaving security in the hands of the Indonesian armed forces. STATE-BUILDING/DEVELOPMENT describes the role of UNTAET, the World Bank and other multilateral agencies, along with key donor countries in post-conflict development in East Timor. As well understood, UN experience in East Timor was novel in the way that, under UNTAET, the UN body assumed state sovereignty pending transfer to an independent state. STATE-BUILDING-INSTITUTIONS moves the discussion to the UNTAET endeavor to engage East Timorese counterparts in the building of a parallel government and preparation for independence. The issues include preparation for Constituent Assembly and presidential elections, democratic preparation, and the drafting of a new constitution leading to independence on 20 May 2002 as the Democratic Republic of Timor-Leste (RDTL). CONFLICT/RECONCILIATION/JUSTICE analyzes the way that the international community have sought in sometimes contradictory and controversial ways to redress justice for East Timorese victims alongside the need for community and even international reconciliation. The special mandate and problems in building capacity encountered by UNMISET in carrying forward the peace-building process is discussed under SUCCESSOR MISSION. The UNTAET/UNMISET model is evaluated in a conclusion. 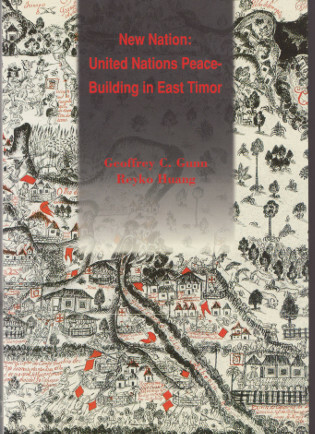 This work stands as the first comprehensive study of UN peace-building in East Timor from May 1999 to the end of the UNMISET mission in May 2005. A special feature of this book is the direct involvement in the field by the authors in key institutional sectors through various phases of the UNTAET/UNMISET peace-building process as - variously - observers, consultants, and volunteers. The authors also bring to bear on the subject a multidisciplinary approach drawing upon anthropology, sociology, political science, and international relations theory. We trust that New Nation: United Nations Peace-building in East Timor will be invaluable to field workers, students, and teachers, alongside the UN community, not only in examining the specificities of the East Timor case, but in seeking to generalize the peace-keeping/peace-building/state-building experience to other situations. 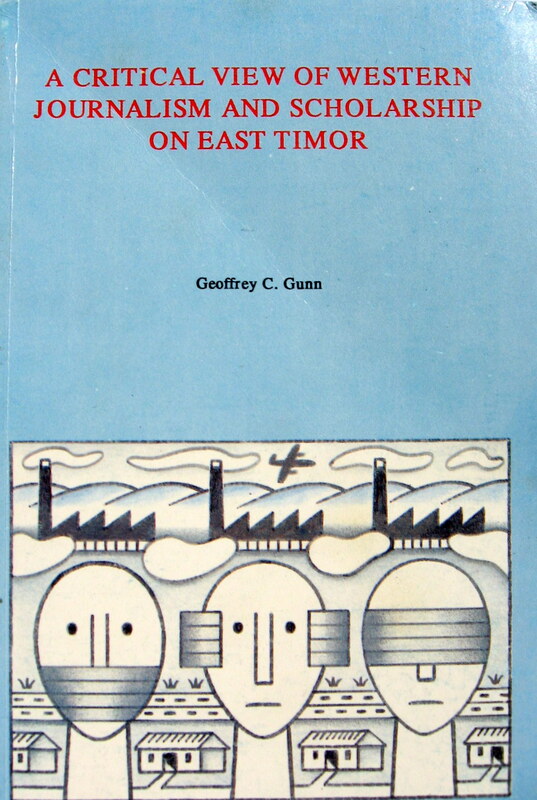 "Fine study based upon personal involvement with East Timor...Gunn and Huang give the best account available of the political, linguistic and anthropological differences with which the United Nations wrestled in their attempt to create an independent nation and which are still major factors in Timor-Leste today. Essential reading for all scholars of Timor (James Cotton, Professor of Politics, University of New South Wales in the Australian Defence Force Academy)." Complicity in Genocide was originally commissioned by the Comissão de Acolhimento, Verdade e Reconciliação de Timor-Leste (CAVR). It was written exclusively by the author using the existing resources in the Comarca headquarters of CAVR in Dili between 4 June and 31 July 2003. Final revisions were offered on 15 August 2003. Part of a national and international team of human rights investigators, the author's submission was intended for inclusion in a multi-volume investigation on crimes against humanity committed in East Timor from 1975 to 1999. All components of the report were then subject to extensive discussion and editing by the CAVR commissioners. Coinciding with the completion of CAVR's mission in 31 October 2005, the report was then presented to the President of the Republica Democrática Timor-Leste (RDTL) for ratification prior to submission to parliament. The President was also required by law to submit the report to the UN Secretary-General, then to be referred to the Security Council, the General Assembly, the Special Committee on Decolonization, and the UN Commission on Human Rights. But, in presenting the report to the East Timor legislature on 28 November, the President described sections of the report relating to reparations from the countries that had supplied weapons and military training as “politically unrealistic.” He also backed away from a recommendation to revive the UN-backed special crimes unit, also endorsed in June 2005 by a UN Commission of Experts report to the Security Council. The Timor-Leste President further recommended that the document not be made public, inferring it not in the national interest. Notably absent from my submission is the role of the Indonesian armed forces inside East Timor (1975-1999). This lacunae, however is well covered in CAVR investigations. By contrast, my brief was to highlight the role of other international actors who either supported or contrived with the Indonesian armed forces. After all, this was a “stoppable” tragedy if only the key international supporters of the Jakarta government had the political will to intervene on the side of international law. More the pity that these international actors have so far eluded responsibility. To wit, in August 2003, CAVR made public that it envisaged conducting hearings in Washington, Canberra, Lisbon, and Jakarta on the role of international actors in the making of the East Timor tragedy. This was of no small interest given such shifts in international legal norms as the accomplice liability provisions of the Rome Statute of the International Criminal Court (ICC) adopted in July 1998. While the prospect of prosecution as an accomplice remains largely in theory, typically such hearings – sometimes dubbed “peoples tribunals” – seek to send a strong message to state or even corporate suppliers of military, economic and other assistance in situations of breaches of international humanitarian law. While the chapter headings were prescribed by CAVR, the writing, selection, and interpretation of facts remains my own. In releasing this submission, the author also seeks to activate public truth-seeking over the role of international actors in the East Timor tragedy, long veiled by official censorship, and now deflected by the search for reliable allies in the war on terror. 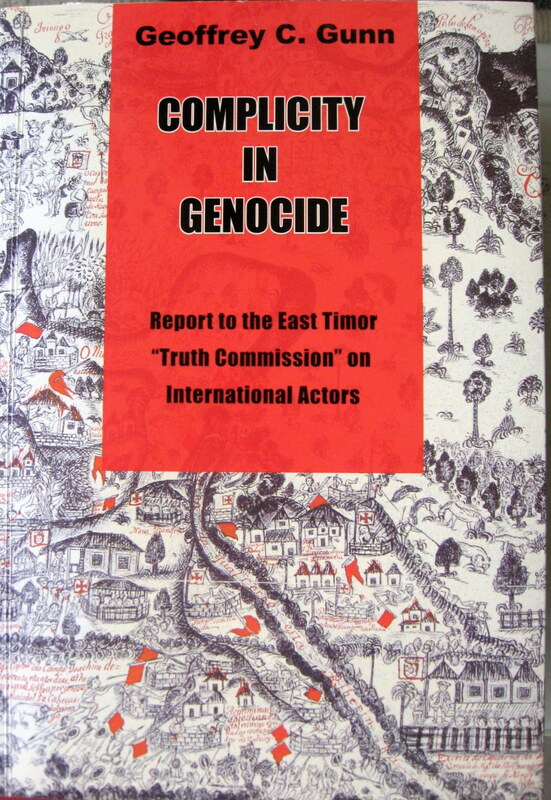 Download Complicity in Genocide: Report to the East Timor "Truth Commission" on International Actors . Political Struggles in Laos (1930-1954) is the first detailed history of the origins of communism, ethno-nationalism and nationalism in the former French colony. Communism first took root in Laos under Vietnamese auspices in 1930, the year Ho Chi Minh's Indochinese Communist Party was founded. Anti-French nationalism under the Lao Issara banner subsequently emerged in the shadow of war and was greatly stimulated by the eclipse of French by Japanese power. As the French staged their bloody post-war restoration, the two tendencies in the anti-colonial struggle found common cause. But shunned by the international community in exile in the Thailand of Pridi Phanomyong, the Lao Issara withered. While seeking a guerilla rear-base in Vietnam, the Pathet Lao tendency found willing sponsorship from the Viet Minh in a trans-national relationship. At home the Pathet Lao went from strength to strength drawing upon age-old grievances of the minorities in the highlands. But it was not until the Geneva Conference on Indochina in 1954 that the Pathet Lao gained recognition in the Kingdom of Laos as legitimate actors in the nation's political processes. 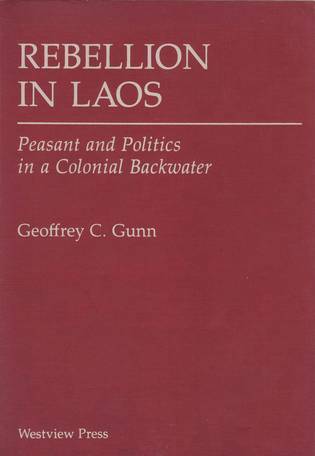 In a preliminary chapter the author sketches the country's pre-colonial and early colonial history while the political, military and diplomatic context surrounding the Pathet Lao triumph in 1975 is outlined in a concluding section. This overview ranges across the history, sociology, politics and economy of this small landlocked kingdom turned People's Republic. Theravadins stand for the majority Lao Loum Buddhist population. 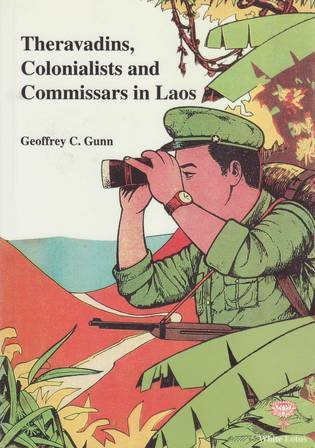 Commissars stand for the soldier-bureaucrats who struggled to rebuild Laos in a communist mould. Colonialists stand as a metaphor for the French, and their American successors, who supported the kingdom in the long civil war against Cold War adversaries. Once a synonym for war and revolution, Laos today is a nation struggling to take its place in the prosperity of the ASEAN economies. However, the question of how the communist Pathet Lao movement triumphed against all adversity, remains unanswered. After the victory, the question arises of how successful the first generations of communist rulers have been in managing this country, even by their own standards? This book weaves together a number of threads in the endeavor to answer these and other questions. The book is divided in five parts: Facts and Theory; anti-Colonial Stirrings; Civil War; Men who Make History; State, Nation and Army and Problems of Development. An overview of recent research and suggestions for the way forward concludes the book. While the book forms a unity, the essays stand alone and may be read as parallel histories in their own right. 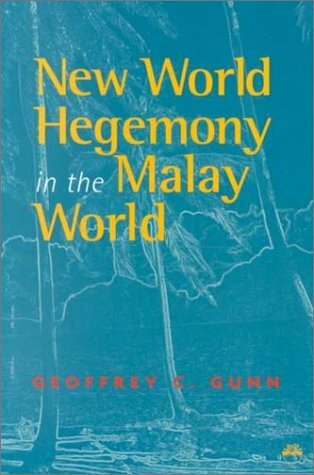 In taking the "Malay World" or the world of the Malay speaking countries of Indonesia, Malaysia and Brunei Darussalam as paradimatic of debates on democracy versus authoritarianism in the postcolonial world, this book also adumbrates upon the East Timor case as emblematic of the universal question ofsocial justice and human rights which engage all human beings. Complex fractured societies at the jucture of three imperialisms, Dutch, British and Portuguese, the major ecological, political and economic crises of the twentieth century reminds us that the boundaries of colonialism and the writ of dictators are nowhere immutable when it comes to questions of freedom, autonomy and self-determination. Contrary to modern theories of developing nations, Brunei Darussalam, which has a very high rate of literacy, is also one of the few countries where the traditional elite retains absolute political power. Professor Gunn's comprehensive study, which assesses the state's efforts to implement national language policies, explores the aspects of the complex relationship between language and power including the oral tradition, the rise of Islamic literacy, print culture and mass literacy, and the electronic media and its effects. Available at Ohio University Press. This is a complex study of some of the complexities of Singapore identity and recent history. Many areas of Singapore's economic and political development are discussed including patterns of immigration in the Colonial and late Colonial periods; the influence of international Communism and of nationalist movements; globally oriented Islam; Japan's ethnically-based policies 1941-45; post-1946 Indonesian radicalism; Malaya's "Emergency" and insurgency of the 1950s. 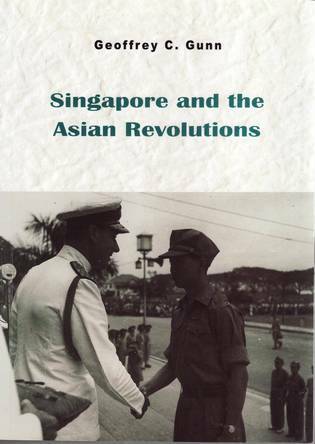 These revolutionary or quasi-revolutionary influences and activities are highlighted not only as history but as relevant in Singapore's present fostering of a Singaporean identity. This is a much-needed introduction to East Timor (or, locally, Timor-Leste) for students and researchers. Gunn, ... has done a good job of collecting and distilling the history of the small nation, which achieved independence in 2002. East Timor is at the eastern end of the Indonesian archipelago. ...All of this is explained in the volume, as is other biographical, historical, and geographical information. If all readers know about East Timor are the names of two Nobel Peace Prize winners, Carlos Filipe Ximenes Belo and José Ramos-Horta, then this book will bring them up to speed. Recommended for academic and large public libraries. 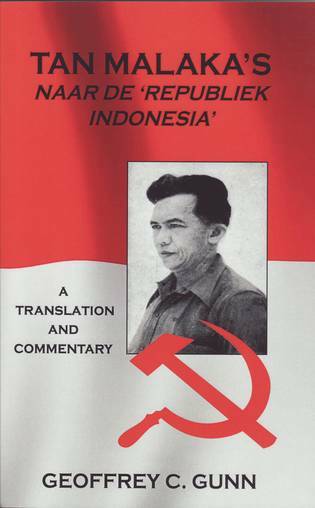 TAN MALAKA’S NAAR DE ‘REPUBLIEK INDONESIA’ is a reprint of a book of the same title that was published in Japan in 1996. This edition also serves to ‘repatriate’ a work from China-Japan to Indonesia. The objective is for younger generation of Indonesians who lived under the Suharto dictatorship to be able to read their history objectively. Hopefully this book will restore the figure of Tan Malaka to his deserved position at the center of debates on modern Indonesian history.